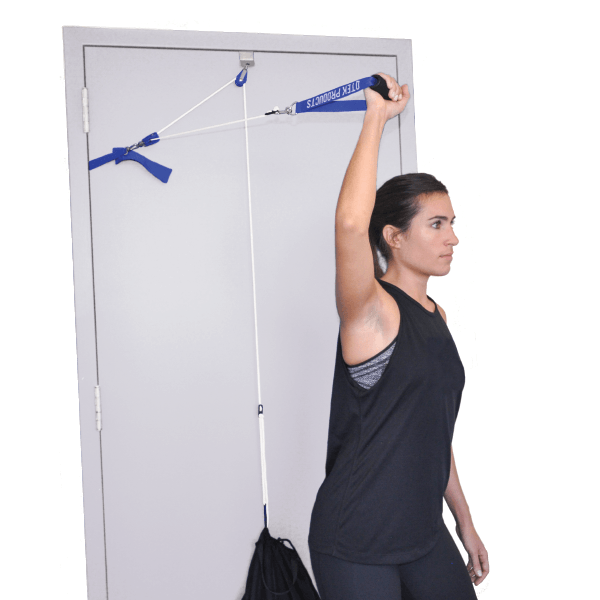 Build functional mobility throughout the entire body with this portable resistance exercise pulley system. CONSULT WITH YOUR PHYSICIAN BEFORE USE. Designed by physical therapist Yousef Ghandour, TheraPulley is a comprehensive exercise system for rehabilitation, injury prevention, sports injury recovery and functional wellness. 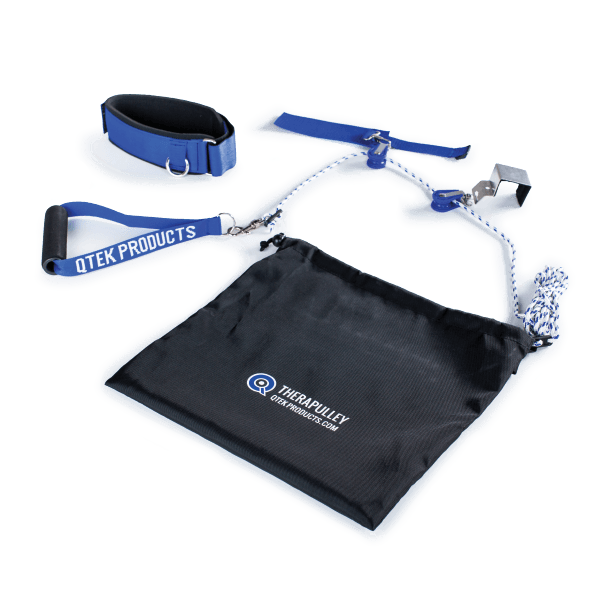 It is an essential tool for those aiming to recover more quickly from sprains, strains or surgery. The swivel ball bearing Q-Pulley system allows for low-friction movement of weight up to 20 pounds*. The hinge side attachment can be adjusted to create multiple angles of exercise resistance through a full range of motion for focus on the neck, shoulder, elbow, wrist, spine, hip, knee and ankle. Controlling the resistance as well as the exercise angle promotes healthy and logical progression of coordination, endurance and strength training into functional mobility. 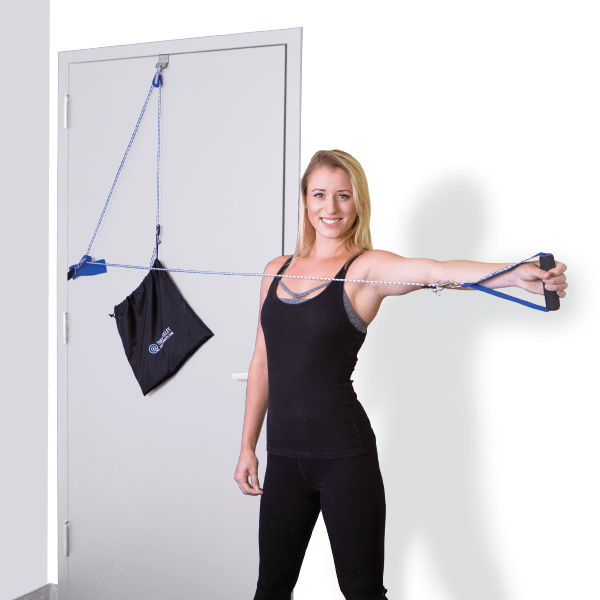 The portable “gym in a bag” system is ideal for use at home or traveling on the road; all pieces pack up into the carrying bag for transport. 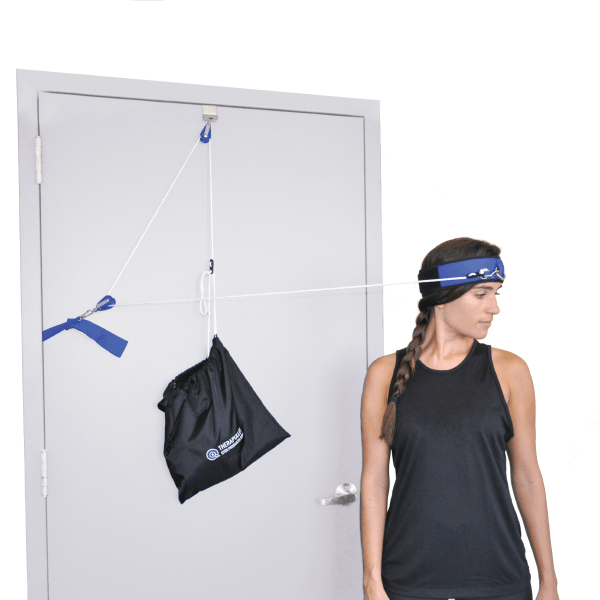 TheraPulley easily attaches to standard and industrial doorframes. *Weights not included. Weight bag capacity 20lbs. Weight used should be based on the exercise being performed. Recommended for use under supervision of healthcare professional.